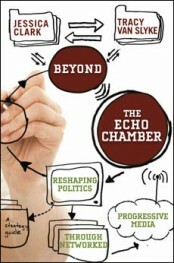 Why “Beyond the Echo Chamber”? measure and tell their story of impact. Since the book’s publication, the political media environment in the U.S. has changed drastically. Participation is now the order of the day, and many of the progressive pioneers we documented are now heading up high-profile media properties that rival those helmed by conservatives. We can’t claim credit, but we have been excited to see many of our nascent theories realized.